In the event of diseased oral tissue, oral surgery can help keep your smile healthy by getting rid of any present infection before it spreads to other areas. Dr. Peter G. Cooper at Pasadena Dental Implants uses these procedures to save his patients' smiles—read on to learn more! Third molars, commonly known as wisdom teeth, are the most common teeth to be removed due to how most people don’t have room for them. Wisdom teeth often put painful pressure on your teeth because fail to erupt and stay embedded in bone, a condition known as impaction. 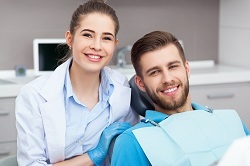 Your periodontist is a specialist in another type of oral surgery: periodontitis treatment. If you have periodontitis, you may need gum surgery to reduce periodontal pockets around the teeth. This procedure helps to make your mouth more easily cleanable, so you can better maintain greater oral health. In the event of serious periodontal disease, your periodontist may also have to remove a few of your teeth due to bone loss. After this procedure, however, your periodontist can also place dental implants to remake and rebuild your smile to a form that is even stronger and more attractive than it was before! If you need oral surgery, you deserve the best. 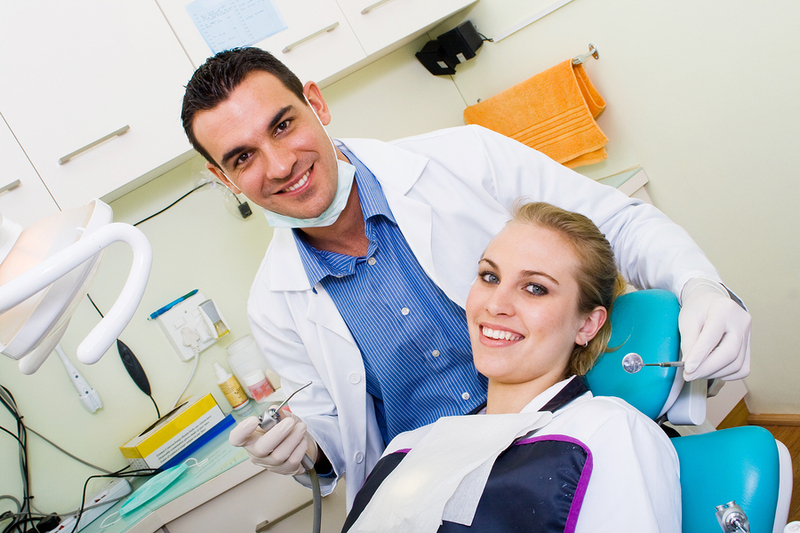 You deserve the highly skilled services of a periodontist. To find out more about how oral surgery can help you, just call Dr. Peter G. Cooper at Pasadena Dental Implants in Pasadena, CA, today at (626) 796-1241. Thinking of getting oral surgery? Oral surgeons treat many diseases, defects, and injuries in the face, head, neck, and jaws, as a number of these conditions require the special expertise that only a periodontist can deliver. We here at Pasadena Dental Implants, located in Pasadena, CA, are led by Dr. Peter Cooper and provide a full range of oral surgery services. Here are 8 ways in which we can help you! 1. Replace Lost Teeth- Is your smile missing teeth? Dental implant surgery is a procedure that replaces lost teeth with artificial restorations that feel, fit, and act like real teeth. Dental implants can restore your smile, improve your ability to chew food, prevent jawbone loss, and prevent your natural teeth from shifting out of place. 2. Jaw Problems- Corrective jaw surgery is performed by oral surgeons to correct a range of skeletal and dental irregularities. Corrective jaw surgery includes the correction of misaligned teeth and jaws, which will then improve chewing, speaking, and breathing. The procedure is usually only recommended where the misalignment affects everyday functions such as speaking and eating. 3. Dental Extractions- A dental extraction is the removal of a tooth from its socket in the jawbone. A dental extraction may be necessary if your tooth is so damaged that it cannot be repaired. Additionally, if your wisdom tooth doesn't have room to grow, you'll likely need to have them pulled. Impacted wisdom teeth can result in swelling, pain, and a gum infection. 4. Treat Sleep Apnea- Sleep apnea is a potentially life-threatening disorder that causes repeated awakenings and pauses in breathing during sleep. A variety of surgical options are available for the treatment of sleep apnea. The goal of surgery is to enlarge the airway through your nose or throat that may be blocking the airway passages. 5. Treat a Facial Injury- Oral surgeons are most qualified to deal with facial injuries. If you suffer a facial injury, be sure to contact us for consultation. Facial trauma is an injury to the face. We are experts in treating facial injuries, including facial lacerations and fractures of the jaw. 6. Birth Defects- Cleft lip and cleft palate are birth defects that affect the roof of the mouth and lip. Cleft lip and palate may be caused by a combination of genes and other factors, such as what the child's mother eats or drinks, or certain medications she uses during pregnancy. Surgery is designed to improve the child's ability to hear, speak, and eat, as well as restore a more conventional appearance. 7. TMJ Syndrome- When the jaw joint is damaged, it can lead to a disorder called temporomandibular joint (TMJ) syndrome. Symptoms of TMJ syndrome may include clicking and locking of the jaw joint, difficulty chewing, and jaw pain. A variety of surgical options are available for the treatment of TMJ syndrome, and are designed to relieve jaw pain and fully restore functionality. 8. Biopsy for Cancer- Only a biopsy may give a definitive oral cancer diagnosis. During a biopsy, we remove a small amount of tissue for laboratory analysis. A pathologist examines the cells under a microscope to see if they're cancerous. If oral cancer is detected early, it is almost always curable. If you need oral surgery, why wait? We can help you today. Call Pasadena Dental Implants at (626) 796-1241 today to schedule a consultation in Pasadena, CA. You will experience exemplary service and world-class care at Pasadena Dental Implants! You may need a tooth extraction if your teeth are crowded, diseased, or have gone through some sort of trauma. Dr. Peter Cooper in Pasadena, CA, performs dental extractions, an oral surgery procedure, and can tell you more about them. 1. Examine the severity of the situation and schedule an appointment for the tooth extraction. 2. An anesthetics will be administered before your procedure to numb your mouth. 3. Your doctor will extract whatever is left of the natural tooth. 4. They will stitch the extraction area and place gauze to stop bleeding, and help with blood clot formation. Don't eat or drink for a few hours. Don't use a straw. Use painkillers if needed and avoid smoking or drinking alcoholic beverage after the procedure. Rinse your mouth with warm salt water for constant disinfection, and call your Pasadena doctor if you're suffering from severe pain, it may be a dry socket (blood hasn't clotted properly). - Floss before bed and make sure you floss between each tooth and in hard to reach places like molars. - Stop bad or poor habits like smoking, and chewing tobacco. - Brush your teeth twice a day, for two minutes each, holding the brush at a 40-degree angle to improve your chances of having healthy teeth. If you think you need a tooth extraction and want to consult your doctor to see if the tooth is beyond saving, then you should call your Pasadena, CA, dentist, Dr. Peter Cooper, today. If you have gaps in your smile, you may feel embarrassed or ashamed of the way your teeth look. However, you can complete your smile with dental implants and help from your dentist. Coming up with a plan to fill the gaps in your smile can boost both the functionality of your smile and your self-esteem. Find out more about dental implants and how they can help you with Dr. Peter Cooper at Pasadena Dental Implants in Pasadena, CA. A dental implant is a stand-alone tooth replacement option. While a dental bridge, which also replaces a missing tooth, attaches to the healthy teeth surrounding a gap, an implant’s fixture lies within the bone itself. The bone grows around the tooth to integrate it into the smile and provide a solid foundation for the replacement tooth. Permanent: Dental implants are a permanent part of your smile. Their design allows them to remain in your mouth. The non-removable tooth functions, feels, and looks just like a natural tooth. Custom: A dental laboratory creates each crown based on a clay impression of your mouth, meaning each implant fits seamlessly into your smile. Easy to Clean: Dental implants require the same simple daily routine as your natural teeth. Brush twice a day, floss at least once a day, and see your dentist at least twice a year to keep both your natural teeth and implants healthy and clean for years to come. Functional: The functionality of dental implants is second to none. Their design gives them the ability to function exactly like a natural tooth. While some tooth replacement options may have the chance of falling out or shifting while you eat or speak, implants stay put and work exactly as they should. Do not hesitate when it comes to replacing your missing teeth. For more information on dental implants, please contact Dr. Peter Cooper at Pasadena Dental Implants in Pasadena, CA. Call (626) 796-1241 to schedule your appointment for a consultation with Dr. Cooper today! If you need oral surgery, it’s nothing to be afraid of. Oral surgery has become state-of-the-art, using high-tech tools and techniques to maintain the health of your smile. There are many reasons why you might need oral surgery. Dr. Peter Cooper at Pasadena Dental Implants in Pasadena, California wants to share some of the most common oral surgery procedures. You may also need wisdom teeth removed. Many people don’t have room for wisdom teeth, or the teeth come in sideways and are not a functional part of your bite. They also may remain embedded in bone and not erupt at all, a condition known as impaction. Another common oral surgery procedure is the placement of dental implants. The procedure begins with a dental implant screw placed in your jaw, which will function as the “root” of your missing tooth. The implant area heals and then the screw is capped with a beautiful implant crown. Dental implants are the tooth replacement solution that is closest to having natural teeth. This is just a small sample of the many common oral surgery procedures that can restore the health and beauty of your smile. For more information about oral surgery, call Dr. Peter Cooper at Pasadena Dental Implants in Pasadena, California today!